What can't you do in Morrowind? Well, unless you add a mod to give shopkeepers more cash, you can't sell all the tasty loot you'll eventually collect. Every square foot of my "borrowed" house in Balmora is covered with piles of items I can't sell because no one has enough money to buy them from me in any meaningful quantity -- not the shopkeeper up in Solstheim (from the Bloodmoon expansion), nor even the infamous mudcrab vendor. It's probably just as well; at this point there's nothing I need that I could buy with the money I'd get from selling all that stuff. Suffice to say, the end-game of Morrowind is... a tad unbalanced economically. All of which I mention not to knock it, but to contrast it with the later Elder Scrolls games, and of course with whatever the heck the Limit Theory economy winds up looking like. Flatfingers wrote: What can't you do in Morrowind? Well, unless you add a mod to give shopkeepers more cash, you can't sell all the tasty loot you'll eventually collect. Yeah comparing a static "economy" to anything that attempts to replicate a real economy (such as comparing any Bethesda game against LT or EVE) will result in a bad look. Morrowind wasn't really designed for the late-game, even skyrim falls flat for lategame. Bethesda games are typically about the early to midgame, and their questlines and gameplay reflect that. Once you have a full set of Chameleon 20% armor in Oblivion, or have found out how to fortify intelligence with potions in morrowind, or acquired -100% cost for Destruction spells in Skyrim, the game is done, you are a god. Which is fun, but not where the games shine. In my longest play in Skyrim I wasn't near the midgame and I had already too much coin and stuff for my own good, so... It's clear to me that they didn't think about the economy part because they expect people to do the main quests and side quests as they come, instead of playing like we play. Last edited by Lum on Mon Aug 31, 2015 10:28 am, edited 1 time in total. I'm seven levels into Morrowind at this point. Looking good! I think my favorite adventure so far was killing everybody in the Balmora Council Club, and then sneaking back to the guy that gave me the mission so he could pardon me - without getting caught. Getting lost in Vivec was certainly not an adventure I enjoyed. Too big and confusing, and it feels... empty. Lum wrote: In my longest play in Skyrim I wasn't near the midgame and I had already too much coin and stuff for my own good, so... It's clear to me that they didn't think about the economy part because they expect people to do the main quests and side quests as they come, instead of playing like we play. 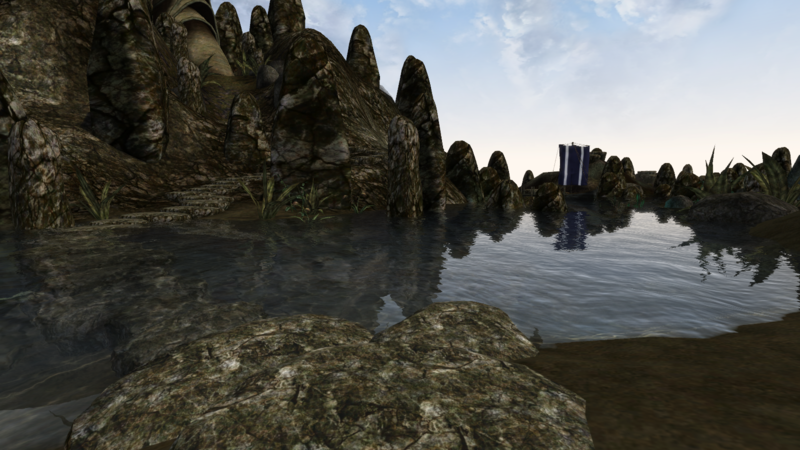 Edit: It seems there's no mod for that (only walking when overencumbered) for Morrowind. You can set the max off and therefore you'll never be overenc. or set them so high that you'll never have to think abour it anymore. But the variant like Skyrim or FO3, so it seems, doesn't exist. In Skyrim it's possible to level up your Strength, which also bumps up your carrying capacity. Plus you can get another 100 units by choosing the Extra Pockets perk from the Pickpocket skill tree. It's also possible to enchant numerous wearables to increase your carrying capacity. There are also some nice pre-enchanted items you can find that will help. And finally, for the true pack rats among us, it's also possible to have a follower who can carry stuff, and the Dragonborn DLC offers a limited but similar way to haul stuff. I just checked: without mods, my character now has a naked carrying capacity of 880 units, and with gear (including three minor mods) I can bump that up to 1283 units. Which means I can pretty well clear out several dungeons without having to leave stuff behind for later loot visits. Did I forget any other good, non-bug-exploiting solutions? MadMax, ME2, ME3, then Skyrim! Me, I'm starting The Witcher 3 and hoping I can plow through it in time to be ready for... Fallout 4. If I have time, I'll probably try a bit of Satellite Reign. But... Fallout 4. Yeah. Clearing my calendar for that one. And then maybe some more Skyrim. I'm pleased to read of the excitement some members are getting from their time in Morrowind. It certainly sounds like one or two past sojourners in the lands of Vvardenfell will be returning to reacquaint themselves with the beauty and mystery to be found there. I'm totally enthralled with modded Skyrim at the moment and I can't see the spell being broken anytime soon. I haven't been gripped like this by a game for a long time. It's true I enjoyed the vanilla game but this modded game lacks nothing for me. If I've had the wish then there is a mod that has been made to fulfil it. I don't think I could lay the game aside even if I wanted to. I suspect it will be a long time before I will be looking elsewhere for my open world game fix. I do hope Bethesda have taken copious notes on the phenomena that is Elder Scrolls V for the next game in the series. As some of you know I have no interest in Fallout 4.....except for how its mechanics may have or will have impinged on the development of Elder Scrolls VI.